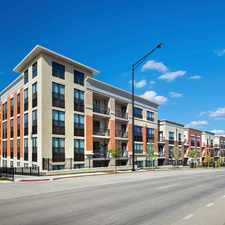 This apartment is in the Fernway neighborhood in Orland Park. Nearby parks include Richard M Gory Park, Buedingen Park and Kelly Park. 8840 West 164th Street has a Walk Score of 21 out of 100. This location is a Car-Dependent neighborhood so almost all errands require a car. Move right into this updated 3 bedroom, 2 bath Orland Park home. Granite counter tops and stainless steel appliances are featured in the Gourmet Kitchen! Oversized breakfast bar! Open living with the family room off the kitchen. Beautiful fire stone fireplace! White woodwork throughout! Main Floor laundry room! Oversized 2.5 car garage. Explore how far you can travel by car, bus, bike and foot from 8840 West 164th Street. 8840 West 164th Street is in the Fernway neighborhood. Fernway is the 6th most walkable neighborhood in Orland Park with a neighborhood Walk Score of 35. 3 bedroom and 1.5 Bath- Lots of storage, a Fireplace, and Detached Garage!!! Will take 3 bedroom Voucher- 4 Bedroom/1Bath. Spacious Ranch style home in CCHills. HATE TO CLIMB STAIRS? HERE IS THE HOUSE FOR YOU! 3 BR RANCH WITH UPATED BATH,NEW CARPET,SIDING, CLOSE TO SHOPPING, TRANSPORATION, ENTERTAINMENT AND SCHOOLS.Sec-8 Welcome.